Maurice J. was born and raised in Charleston, South Carolina, where he was a cook for twenty-eight years. He moved to Atlanta in 2004 after his divorce in search of a change of scenery. He continued his career as a cook in several restaurants in Atlanta, but beneath the surface he was fighting a chronic battle with depression. In 2013, he attempted to take his own life despite his fulfilling career and new life he had created. His emotional break down led him to the ER at Georgia Regional Medical Center, where he was treated for depression and drug and alcohol abuse. 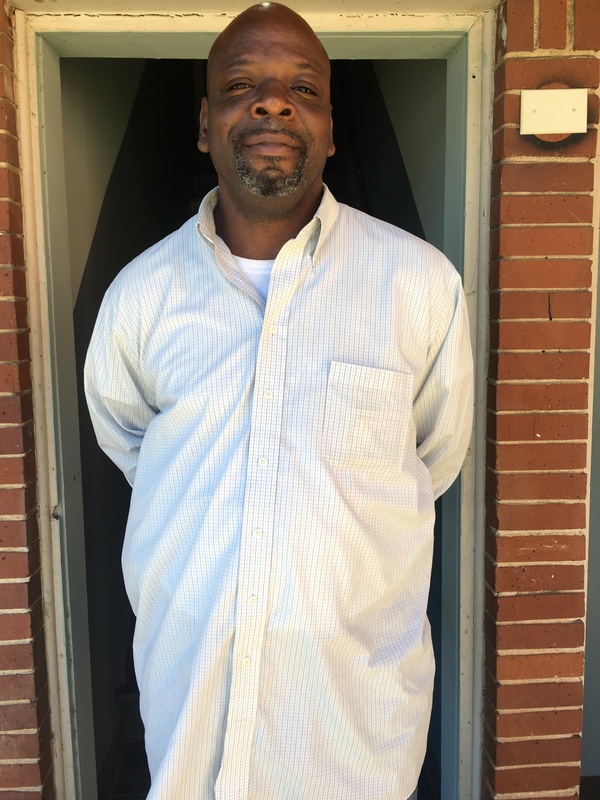 After he was discharged, he was able to obtain a housing voucher and get his own apartment but lost his home to a fire in January of this year. He found himself homeless, unable to renew his lease or pay his moving expenses due to losing his job during his hospital stay. He stayed in several shelters throughout the city and ultimately wound up at Central Presbyterian Church where he met Mackendy, who referred him to Homes of Light. He entered the program in June and was able to stay in transitional housing until his disability claim was approved. “Jack, Kumiko, Ms. Boone, and Gil really helped me, they taught me a lot and helped me with a bunch of resources” says Maurice. Gil recognized his passion for helping others and made Maurice a house manager because of his leadership skills. Self-love and coping with stress are just a few of the lessons he has taken from this opportunity. He plans on remaining involved with Homes of Light and looks forward to what the future holds.